The menu is one of the key aspects to nail down while planning a party. I like a connect in some form between the different courses of the meal. This time, I planned a photography themed party and was thinking about the appetizers. Crostinis set a great tempo to start the meal. I wanted something vibrant and green to contrast with my toasted bread and decided to use peas for my topping. Naming the spread as ‘Smile Peas’ gave me a theme connect as well. When I went to the frozen section in the grocery store to pick up green peas, I came across a frozen packet of edamame beans. Though I had never worked with it before, I knew this would enhance the green factor in my spread. Edamame is a young soybean that has been harvested before the beans have had a chance to harden. It has quite a lot of health benefits apart from being high in proteins and essential amino acids. 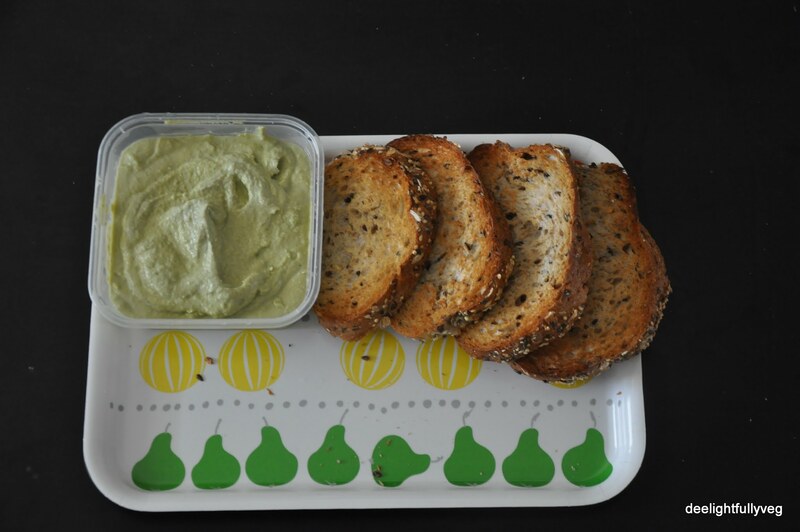 This spread was served on wholegrain bread, herb and garlic bread, and honey and oats bread which were cut into crescents. It turned out quite tasty and the texture works perfectly for a spread. 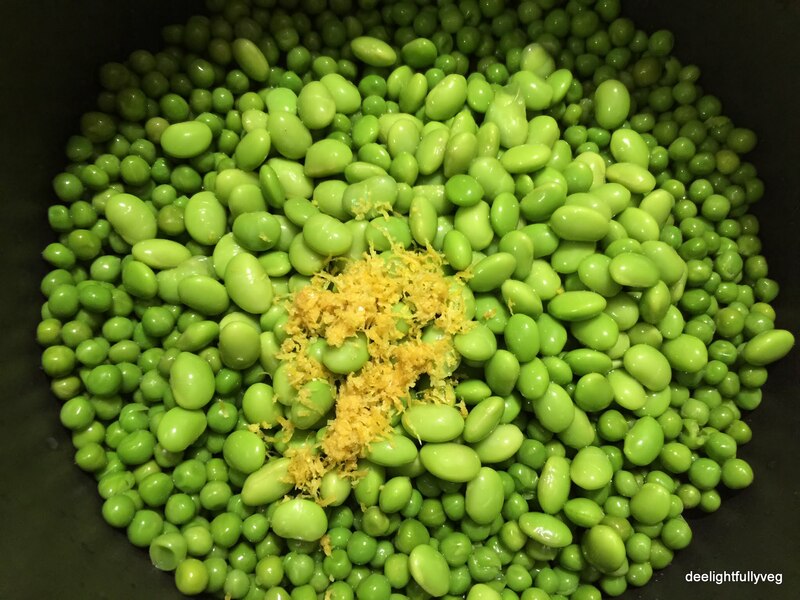 Combine green peas, edamame beans, grated garlic, lemon zest, lemon juice and olive oil in a processor and blend well until everything gets combined into a smooth puree. There should not be any lumps.Season well with salt. The spread is ready to be applied on your toasted bread. You can make this spread a day in advance. It keeps well in the fridge for 1-2 days. Cook the edamame and peas in salted boiling water and then shock them with an ice bath to preserve the green colour. 2/3 cup chickpeas, soaked overnight. Else use canned ones. 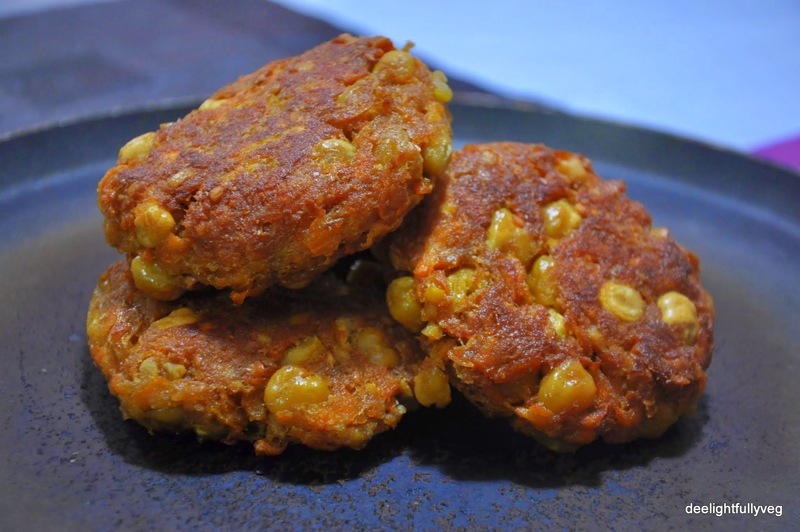 If you are not using canned chickpeas, pressure cook or boil soaked chickpeas till they are soft. Wash and peel the sweet potato. Coarsely grate it to yield around 2 cups. Once grated, squeeze out the water from the sweet potato. In a bowl, take the grated sweet potato, chickpeas, flour, salt and the spices. Mix well to combine. While mixing, try to keep different textures of the chickpeas. I left some whole, some were partly broken and some were smoothened into a paste. Make rounds of the patty mixture and flatten them. Heat a non-stick pan on medium flame and add the oil. Place a flattened patty and let it cook on one side. After about 2 mins, flip it to the other side. Remove it when golden brown and crisp. For the spread, take all the spread ingredients in a bowl and stir. It will seem thick at the start, but as you keep stirring it, you will get the desired consistency. 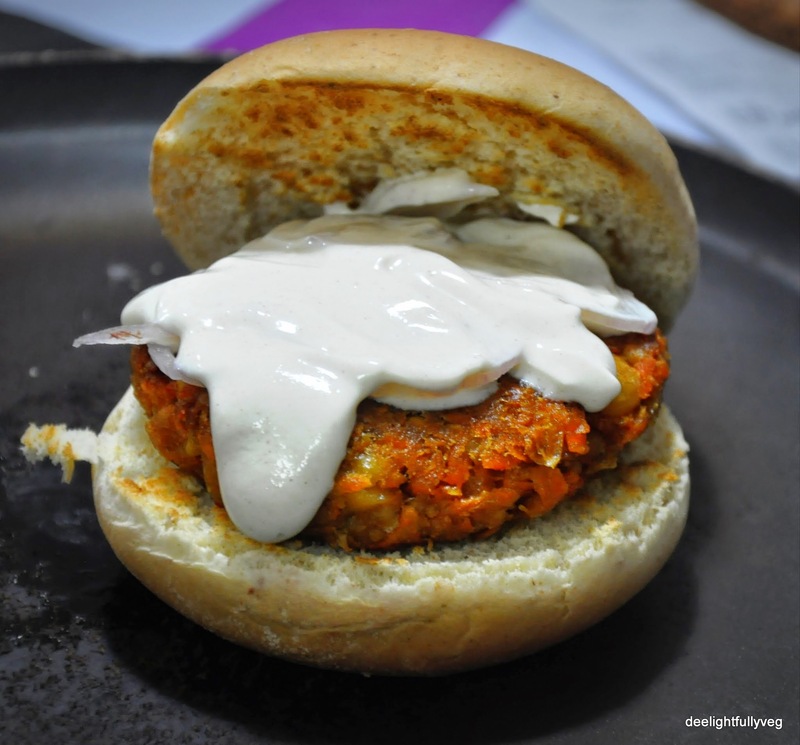 To assemble the burger, I placed the patty on the lower half of the bun, added a layer of onions on top of it and then topped it off with the delicious tahini spread. We had a great meal! Do not overcook the chickpeas. You need them to give texture to the patty. Squeeze as much water as you can from the sweet potato. If the patty mixture is too “wet”, it will not get crisp. Over the last week, I made a lot of fruit smoothies. But these recipes will come another day :). I then wanted to play with the flavour profile to make a fruit pickle or chutney/spread. Sandwich chutneys are typically made from coriander or cilantro, which lend them a green hue. I decided to keep the green theme and chose kiwis and green apples as the main ingredients. The tangy nature of kiwis merged with the slightly sweet green apples and I absolutely loved the outcome of the chutney. I added some spices to give it a kick. Kiwis and green apples are also very nutritious. 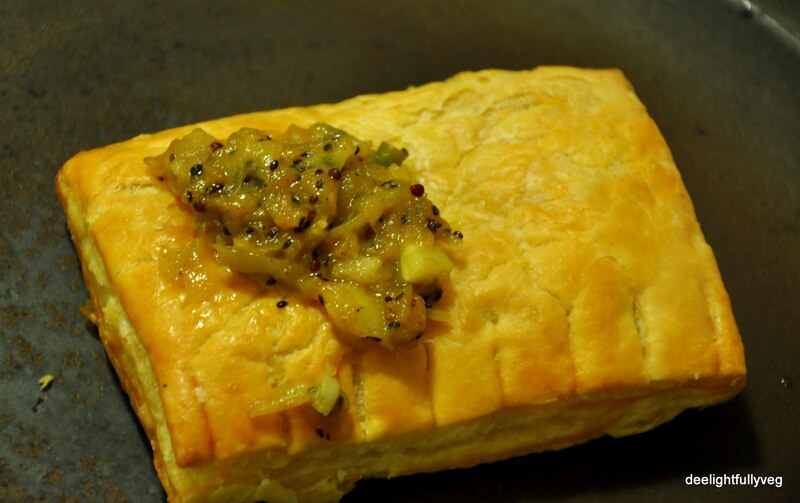 I topped some store-bought vegetable puffs with the chutney and it livened the slightly bland puff. I also tried this chutney with adais (dal pancakes) and it was an amazing combination. It can also be served with plain salted chips. Heat oil in a pan and add the mustard seeds and wait for them to splutter. Once they splutter, add the green chillies, kiwis and green apples and give them a stir. Now add all the spices along with salt and sugar, mix them well and stir them for about 10 mins on low flame. As you keep stirring for another 5 mins, you will slowly see the excess liquid evaporate and the whole mixture will get a jam-like consistency. Switch off the flame and let it cool down to room temperature and it is ready to be served. For preservation, store in the refrigerator in an air tight vessel. It will easily last for a week. The spices and brown sugar can turn the chutney light brown. You can use white sugar and less spice to keep the green colour intact. When had alone, it will be a tangy, reminding you of the water added in a pani puri. Put a dollop of it on bread, puffs, or plain pancakes and you are going to enjoy one delicious bite of fruits. Keep stirring while the fruits are on the flame else they might stick to the bottom of the pan. Keep a balance in the ingredients. You want the sour, salt and sweet flavours to complement each other. While grocery shopping, I noticed a box of kiwi fruit. You may be surprised to know that I had never tasted it before till that day. Intrigued by the fruit, I went ahead and bought it. I was quite blown away by the taste of the fruit – it was a great blend of sweet and tart flavors. I discovered later that it is also a very good source of Vitamin C and can be used in smoothies, cake toppings and chutneys/dips. This combination goes well with breads, chips and rotis or parathas. Wash and chop the mint and coriander leaves. Peel the kiwi fruit and chop it. Store the dip in a bowl and keep it refrigerated. Kept refrigerated, it will last for about a week. 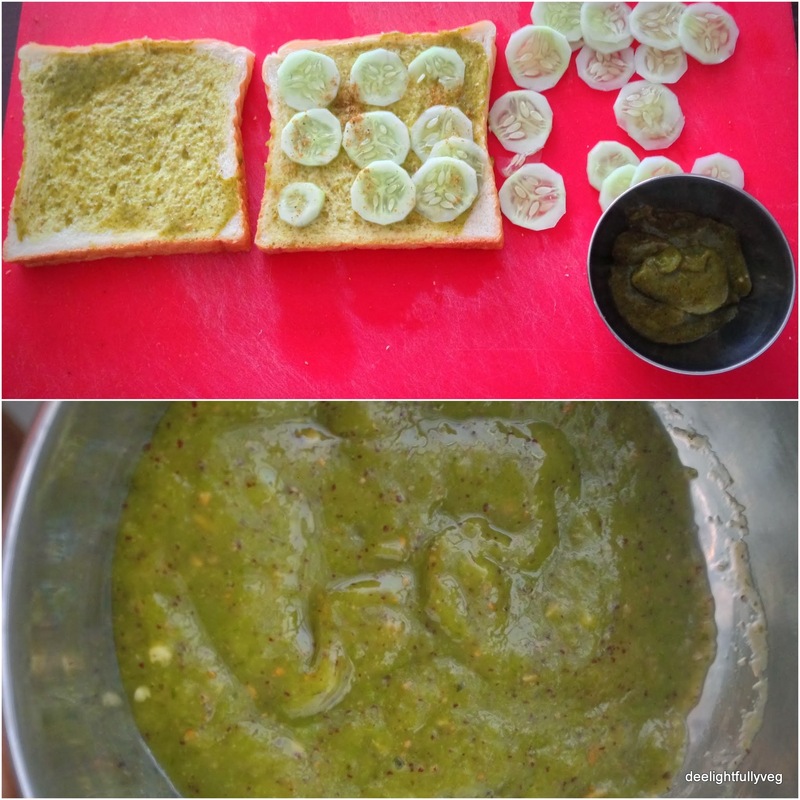 In the picture, I’ve shown a veg sandwich made using this chutney as the spread. The texture of the chutney can also be seen as a part of the close-up picture of the bowl. If your kiwi fruit is sweet, you can add lemon juice. As always, taste before adding. You can also make this using either coriander or mint. You need not use both.